dress fabrics for all occasions. and our team is on hand to provide advice and guidance on the best options for your project. Whether you want to shop in-store or online, we offer the perfect dressmaking fabric buying experience. Whatever kind of dress you are planning to make, you will find the ideal fabric for the right price at Hole in the Wall. Our customers trust us to supply the fabrics, haberdashery items, accessories and embellishments for bridal wear, party dresses, evening gowns, day dresses, costumes, prom dresses, christening gowns and much more. Whether you want to shop in-store or online, we offer the perfect dressmaking fabric buying experience. Browse online at leisure and purchase directly through our secure and encrypted website, with fast delivery and great deals to discover. Alternatively, visit us in-store in Walsall to peruse our fabric catalogues and hangers, swatch books and samples to gain inspiration, see our project ideas or speak to our experienced team who are always on hand to help. Whatever kind of dress you are planning to make, you will find the ideal fabric for the right price at Hole in the Wall Curtains. 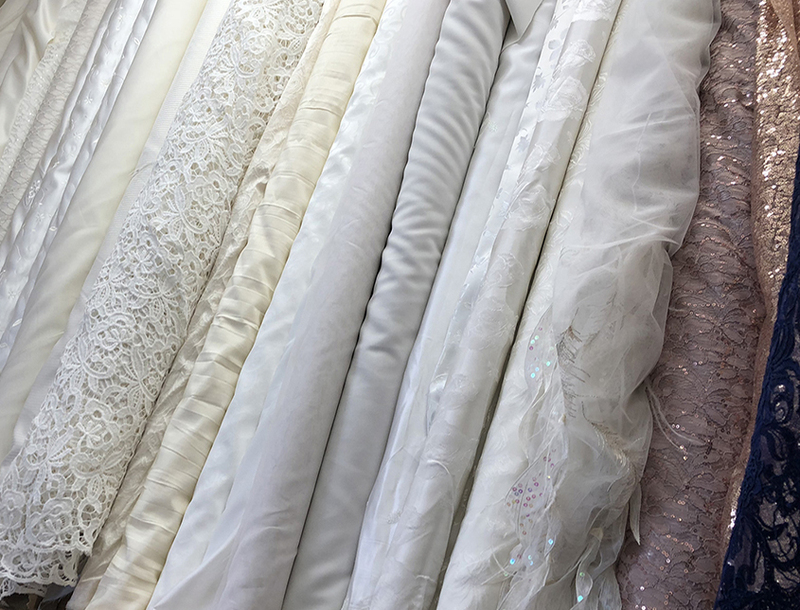 Our customers trust us to supply the fabrics, haberdashery items, accessories and embellishments for bridal wear, party dresses, evening gowns, day dresses, costumes, prom dresses, christening gowns and plenty more. For any queries, please speak to our style and fabric advisors who boast years of experience and knowledge which they are delighted to share with our customers. We pride ourselves on offering a superb level of service which allows us to stand out from the competition, both online and in-store. We may stock one of the finest array of quality dressmaking fabrics in the business, but we also work hard to ensure that our prices remain extremely competitive. You will never pay over the odds when you shop for your dressmaking fabrics at Hole in the Wall Curtains and we offer regular seasonal promotions and offers for our loyal customers. Looking for the latest dressmaking fabric products, ideas, projects and style guides? Don’t forget to follow us on social media where we share plenty of great sewing content to take your passion further.